Node (Swedish electronic dub act). Node (electronic collective): Dave Bessell, Gary Stout, Ed Buller, and Flood (who's produced U2 and Nine Inch Nails) cling tightly to their vintage keyboards and make them click, howl, sweep, and pulse with nothing less than exploratory genius. Node delivers all the trimmings of a classic electronic album circa mid-'70s, but lets it ripen for ten extra years. 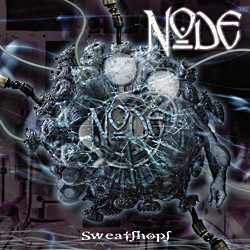 Node (italian thrash metal band) was formed in 1994 by the guitarists Gary D'Eramo & Steve Minelli. In March of the same year they released a demo "Grind Revolution in Mass Evolution", which got excellent reviews into the music magazines. The style they played at that time was a mix between -metal and grind-core enriched by very good technical and song writing arrangements. 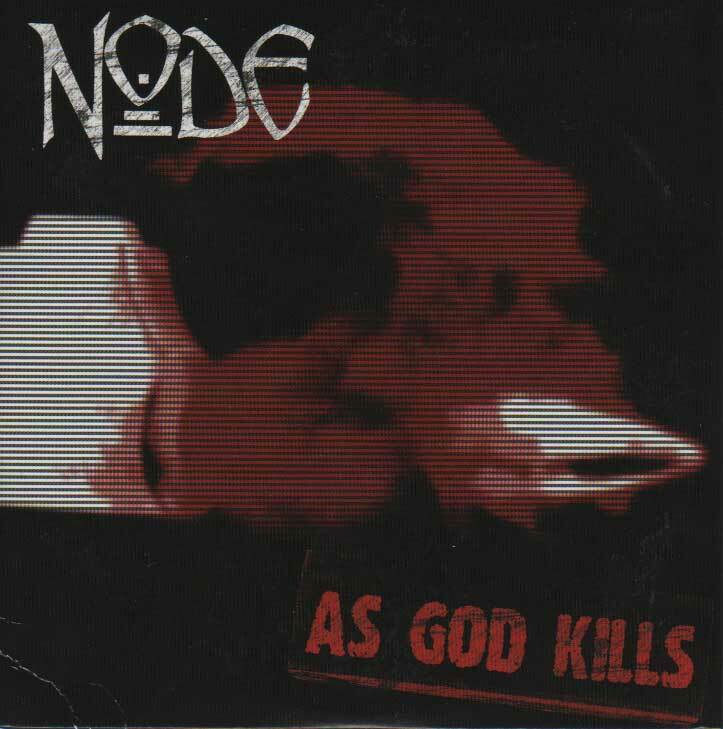 In September 1995 the Node line up was completely turned over, with the new vocalist/guitarist Gary D' Eramo, new bass player Klaus Mariani, new drummer John Manti and Steve Minelli of course, Node released in December 1995 the second demo "Ask". Being of an easier listening impact than the first demo, "Ask" put Node into a music area much closer to bands such as Metallica, Slayer and Pantera. At the same time, this demo was published by italian label Lucretia Records. The month after have been spent throughout Italy playing live on stage (also supporting in the italian gig of the Symbolic Tour). Meanwhile the band was already working on new stuff but still facing same line up troubles; the drummer John Manti left the band in April 1996 for Oinos, ( Thy Nature/Sadist) who stayed 'till December; Gary D' Eramo did the same in March 1997 due to deep differences of musical opinions; Daniel Botti, vocals, took his place. The brand new line up re-signs with Lucretia Records and in January 1998 releases the debut album "Technical Crime". Their new stile is violent, strong, technical and aggressive. This sort of technical thrash/death has been really appreciated both by critics and audience. After this CD Oinos left the band. 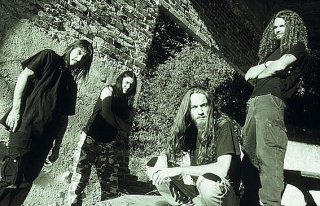 The darkest period for the band is winter 1998/99, due disagreements inside the line up; Klaus Mariani was about to leave the band, who rests standing 'till March 1999 at least. In June of the same year Steve Minelli left the band. Despite the loss of their founder, Node, with great fortitude and band sense kept on playing, to see their effort rewarded some months later, with the entrance in the line up of Joe La Viola (Glory Blister) and the recording of a new demo CD (June 2000) "Land of Nod" which has provided the deal with Scarlet. In August 2001 the recording of the second album has been planned in Sweden (Underground Studios - Vsteras). The new line up was: Daniel Botti (vc/gtrs), Gary D' Eramo (gtrs/vc), Klaus Mariani (bs) and Mario Giannini (dr). "Sweatshops", this is the name of their 2nd full lenght, was out in february 2002 through Scarlet. The style seems to be a mix between the wide classic/heavy atmospheres with an obsessive and aggressive interpretation of the north-european metal. 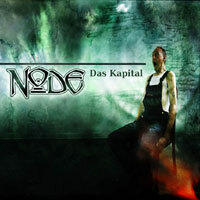 "Das Kapital" was released aftewards in 2004. This is a concept album about XXth century. Marco Di Salvia (the new drummer) took the place of Mario Giannini in 2002. They fixed a promotional tour in Italy with Lacuna Coil for March and April and are ready to do the big step for the European market. Their latest release, "As God Kills" adopts a style primarily mixed between melodic and technical thrash/death metal. Node (Swedish electronic dub act): more info to follow.